A Natural Ingredient, Environmentally Friendly, Instant Heat Source. to use with adhesive on one side. • Use HotShots Adhesive Body Warmers under clothing. Stick adhesive to clothing layer closest to your skin. • Air Activated Instant Heat that lasts up to 12 hours. • Just open package and expose to air. No kneading or shaking necessary. 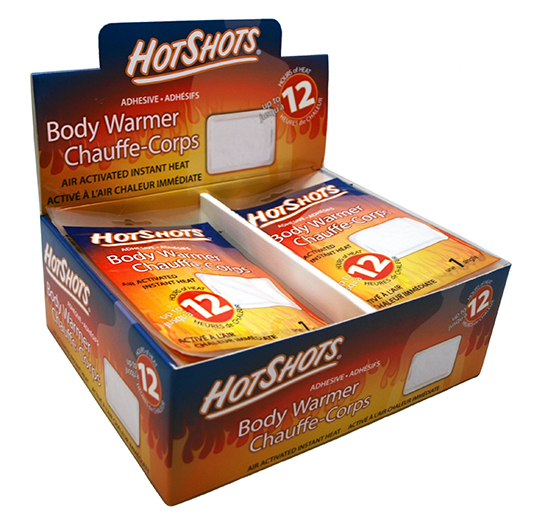 • HotShots Adhesive Body Warmers are a safe, odorless, clean & dry non-toxic heat source. 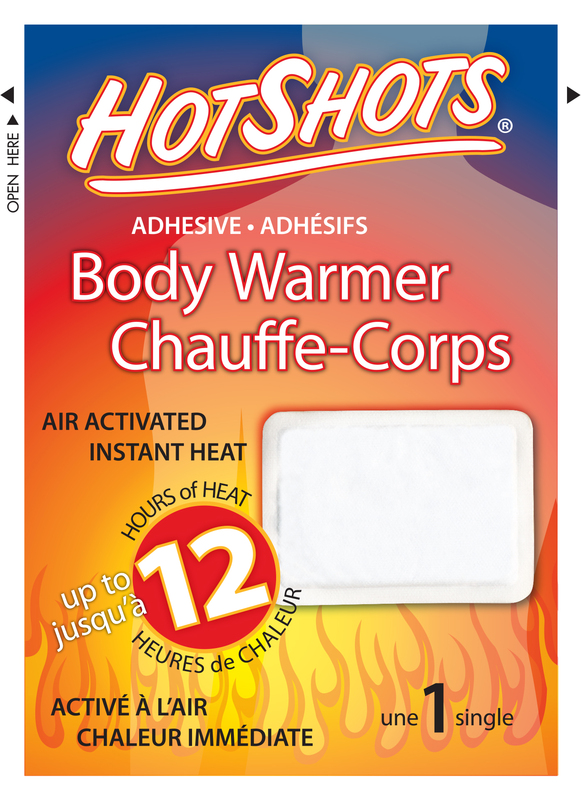 • One HotShots Adhesive Body Warmer in each package. • Stay warm during cold weather activities!